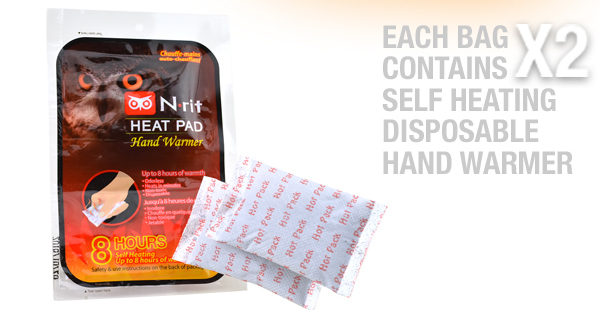 Each N-RIT Hand Warmer comes with two pieces of hand warmers to keep both of your hands from freezing from extremely cold conditions. 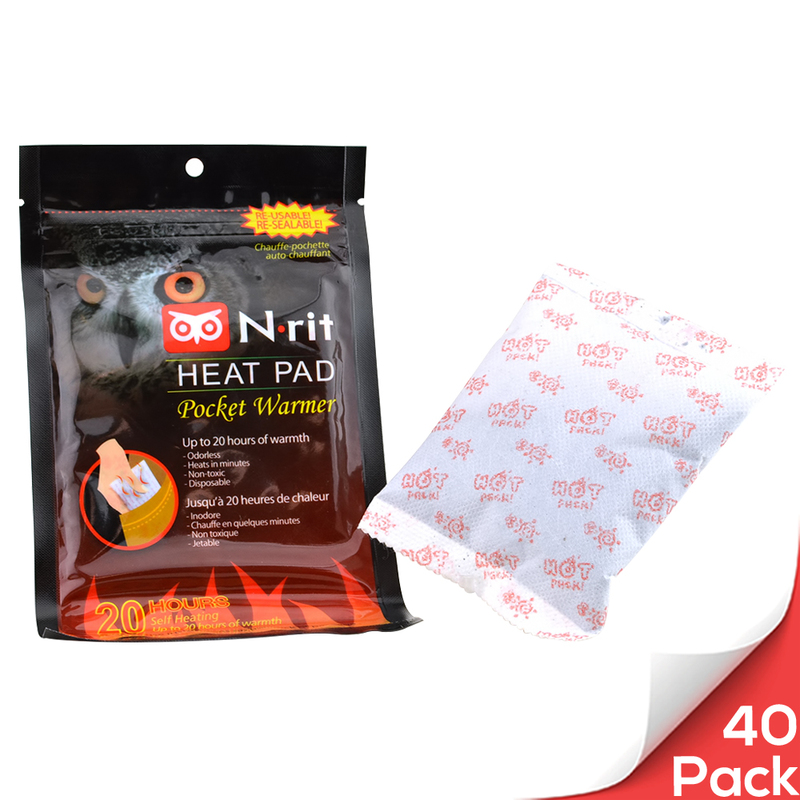 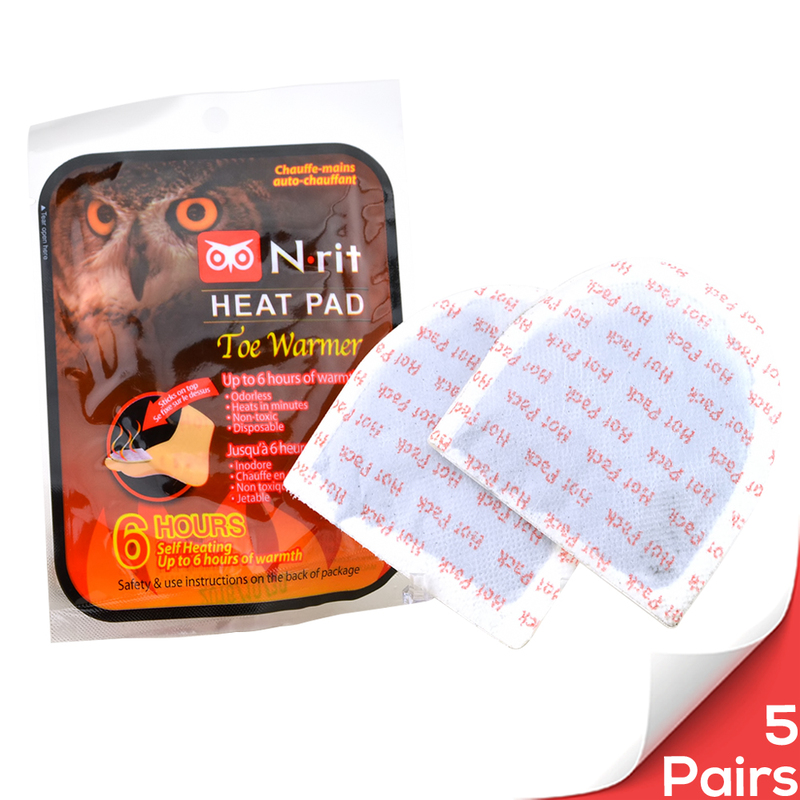 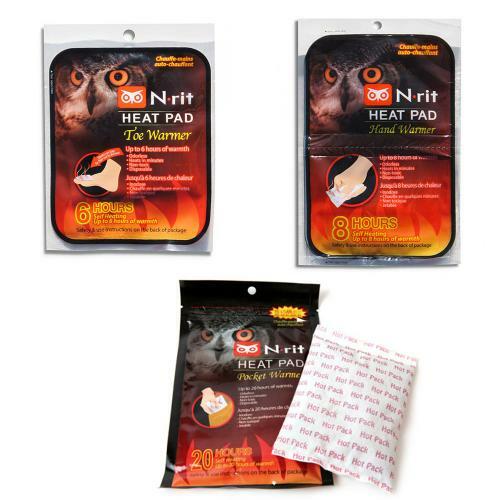 Lasting up to 8 hours, these heat pads can last a trip out to the slopes and can be disposed once the heating component of the heating pads fade out. 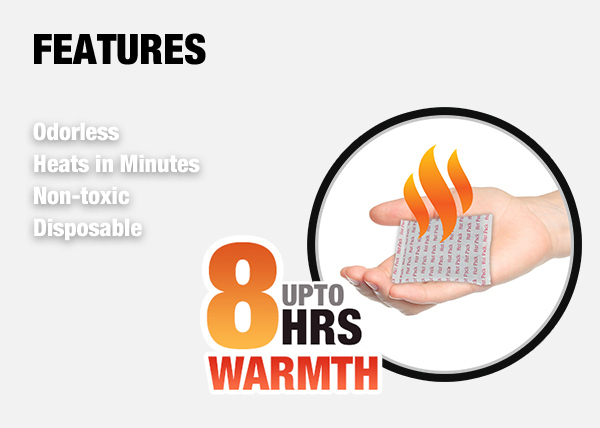 The disposable hand warmer consists of an air impermeable outer film package and an air permeable inner pad containing iron powder, activated carbon, water, vermiculite, and salt. 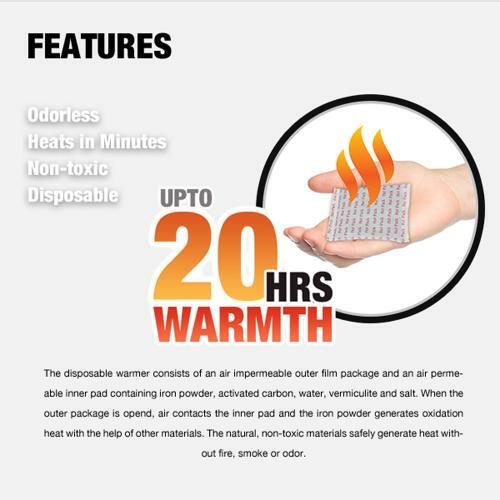 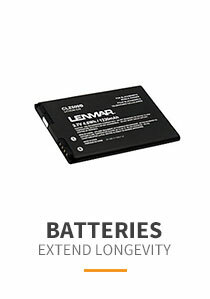 When the outer package is opened, air makes contact with the inner pad and the iron powder generates oxidation heat with the help of other materials. 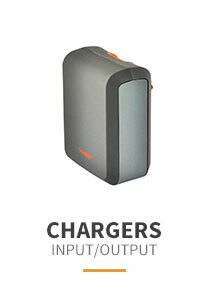 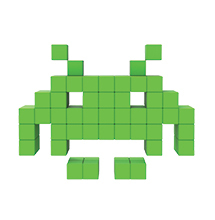 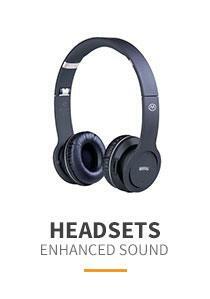 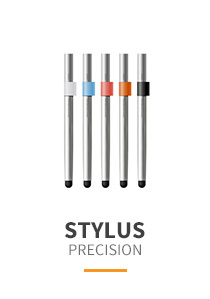 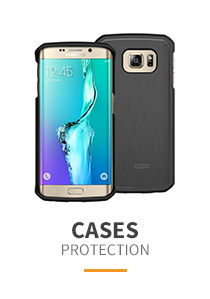 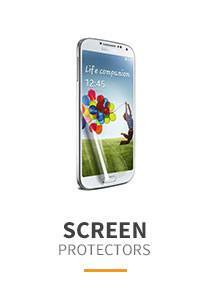 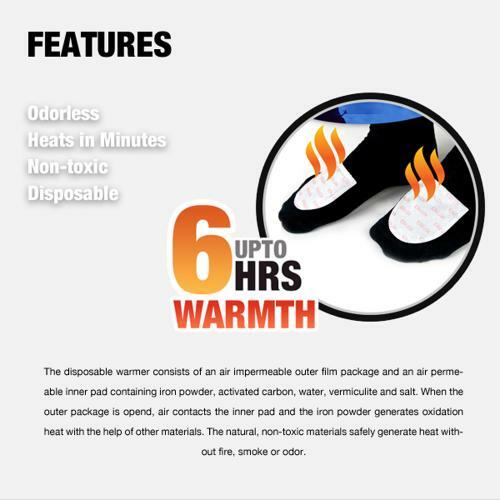 The natural, non toxic materials safely generate heat without any fire, smoke, or odor. 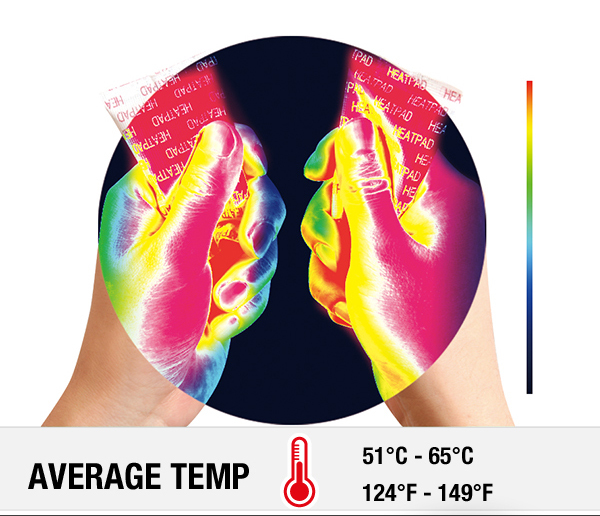 These hand warmers are, indeed, very WARM. 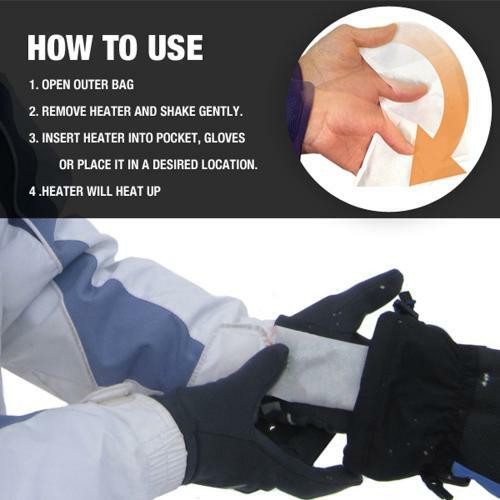 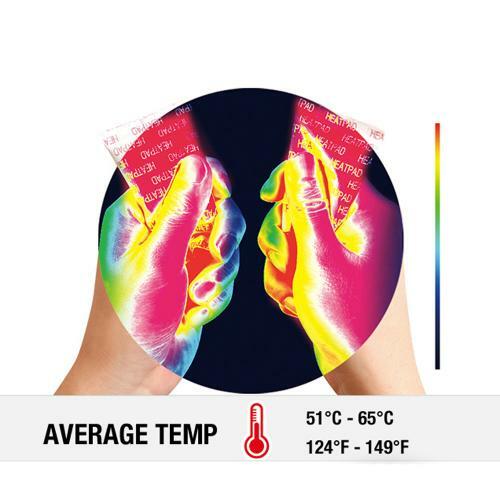 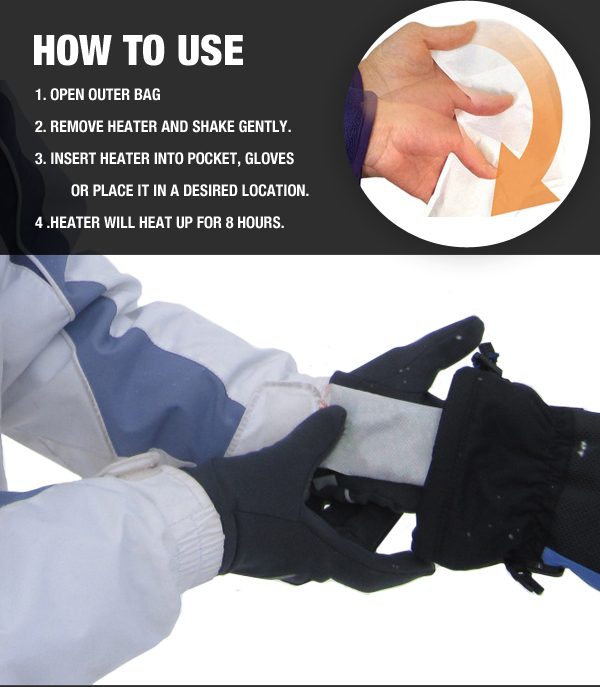 Ranging between 51 to 65 degrees Celsius and 124 to 149 degrees Fahrenheit, the outdoor hand warmers are great for winter activities such as skiing, snowboarding, and mountain climbing. 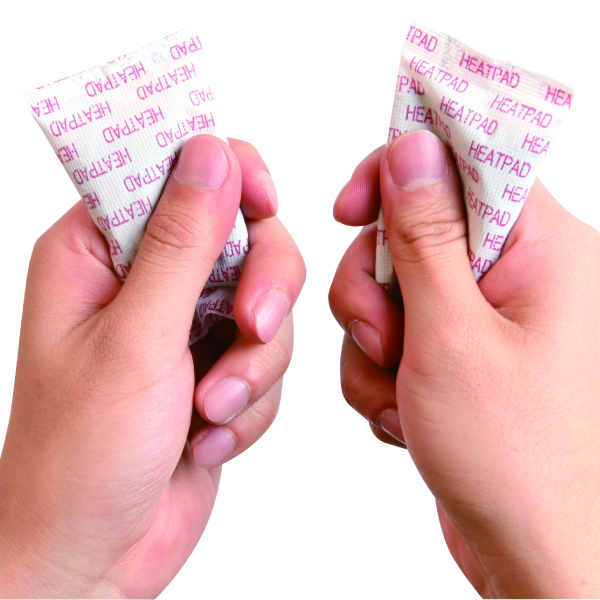 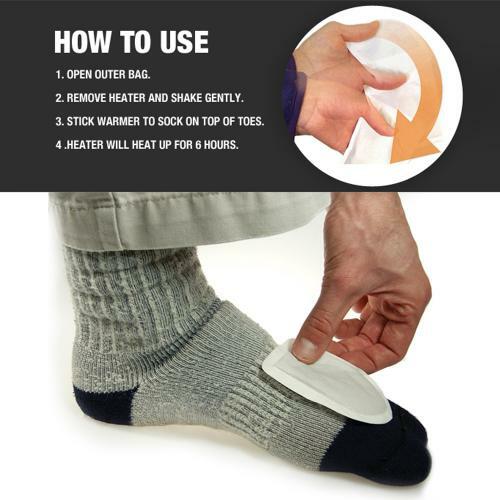 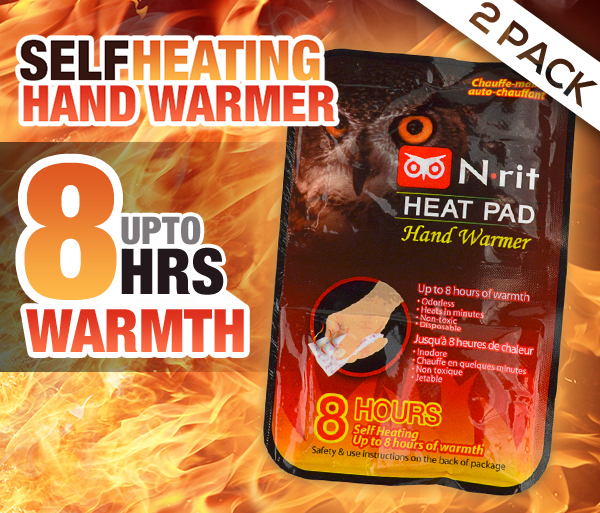 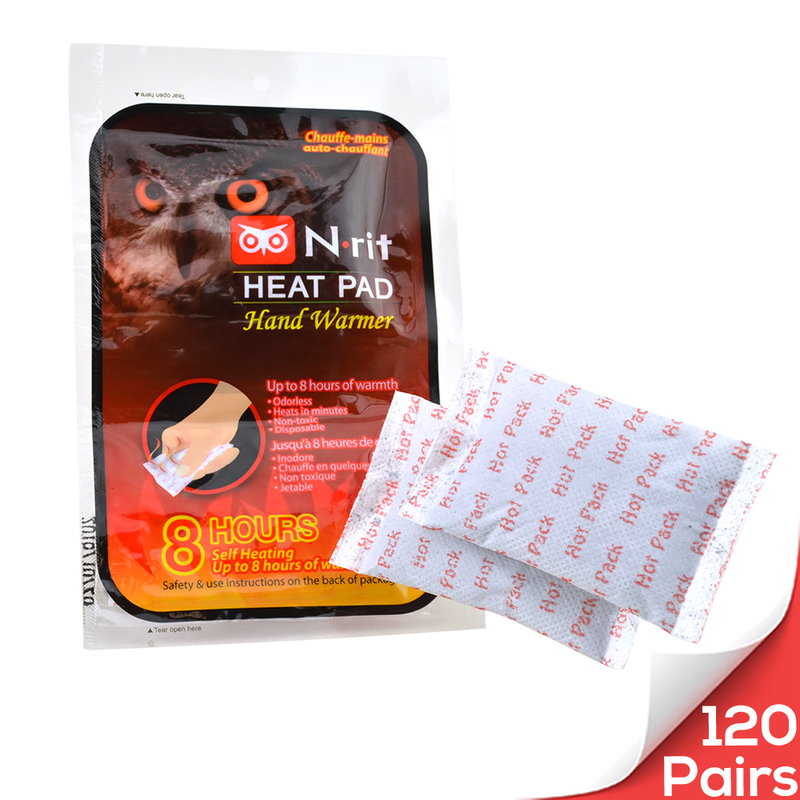 N-Rit Self Heating Disposable Hand Warmers 2 Pack - Up to 8 Hours of Warmth! 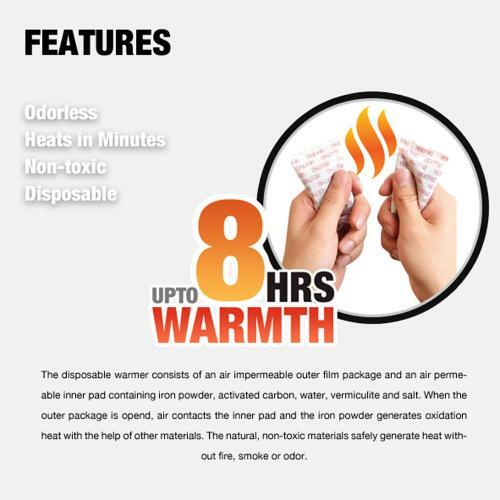 Owlheat [pocket Body Warmer - 40 Pack/40 Pieces] Disposable Self Heating Pocket Body Warmers - Up To 800 Hours Of Total Warmth!